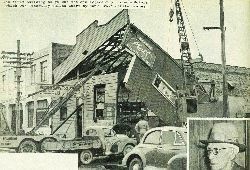 Two old historic buildings opposite the National Airways office in Bright Street left the Gisborne scene in no mean manner when they were demolished in less than two days by Monk Bros. Ltd.
One of the buildings was once the Alhambra Club...the forerunner to the present Cosmopolitan Club. It will be well remembered by many older Gisborne residents. 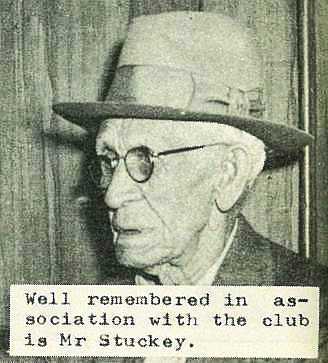 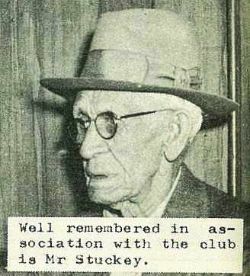 Well remembered in association with the club is Mr Stuckey. 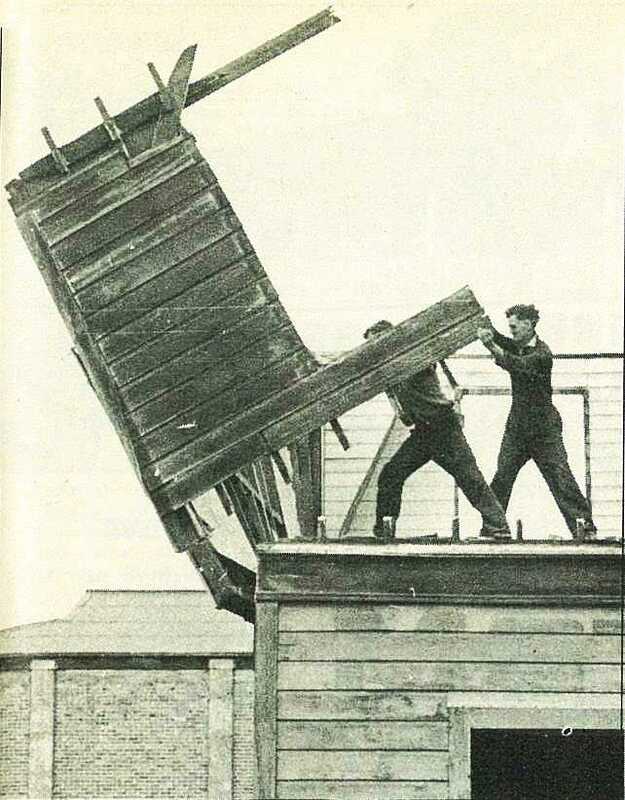 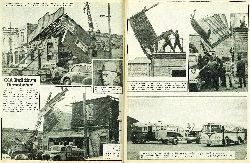 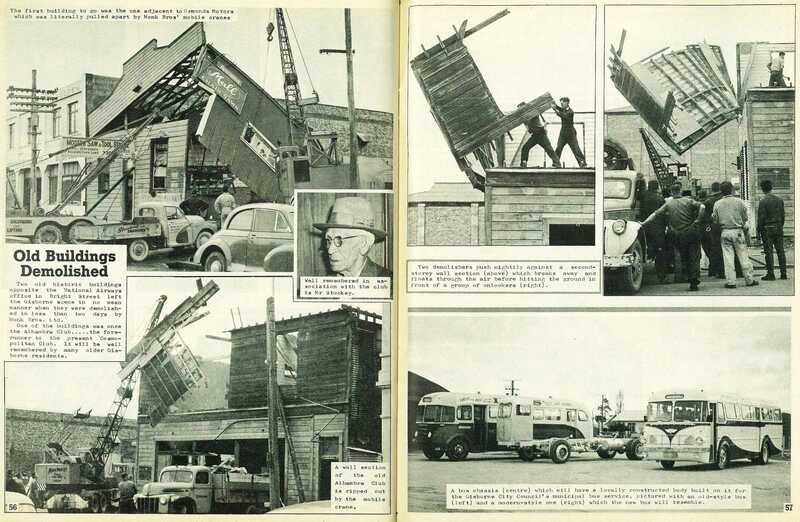 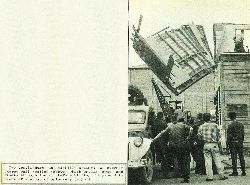 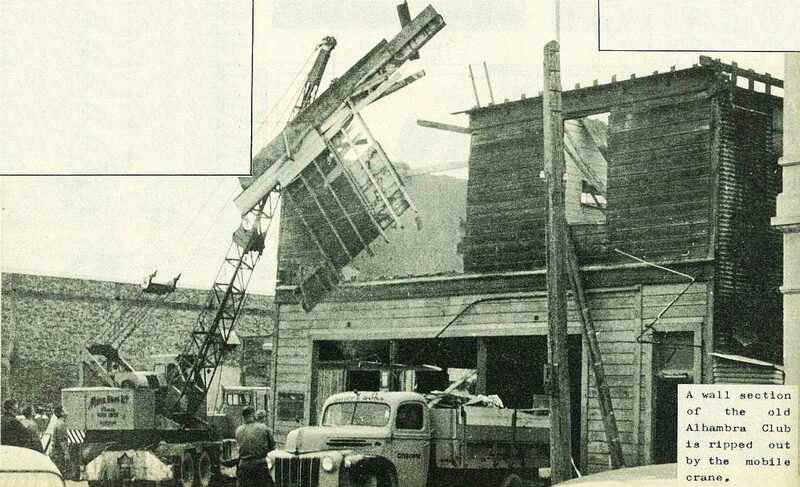 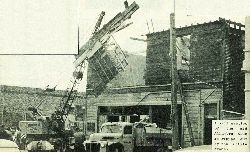 A wall section of the old Alhambra Club is ripped out by the mobile crane. 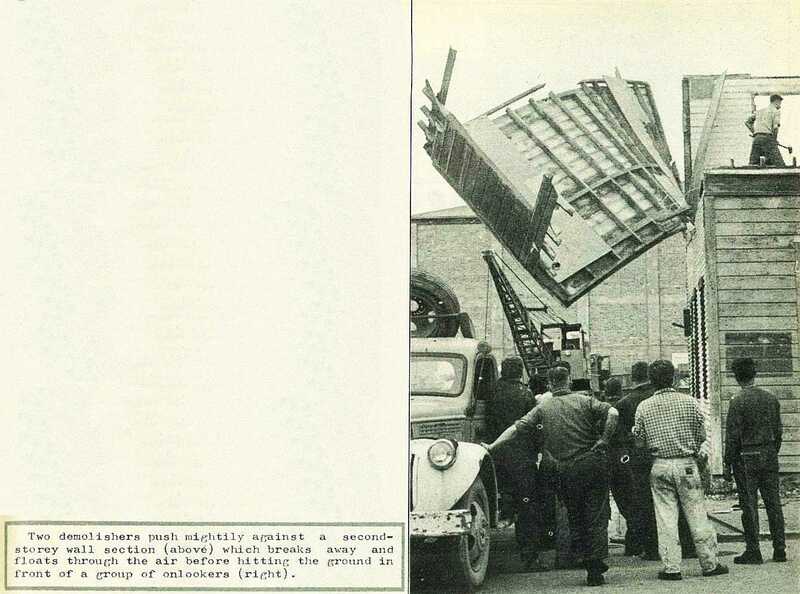 ...and floats through the air before hitting the ground in front of a group of onlookers. 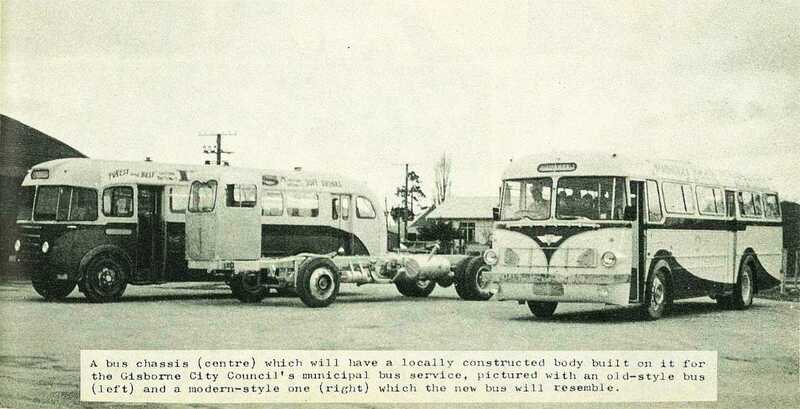 A bus chassis (centre) which will have a locally constructed body built on it for the Glsborne City Council's municipal bus service, pictured with an old-style bus (left) and a modern-style one (right) which the new bus will resemble.